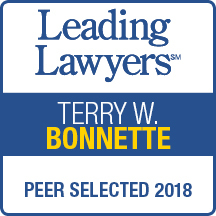 Terry Bonnette: Nemeth Law, P.C. Mr. Bonnette focuses his practice on labor and employment counseling and litigation. He has counseled clients with respect to a wide range contract compliance and regulatory compliance issues, including, among others, FMLA, Wage and Hour, and the ADA. In addition, Mr. Bonnette has represented clients in litigation before state and federal courts, administrative agencies, and arbitrators.